Want to know about one of the best kept secrets in the Hampton Roads area of Virginia? 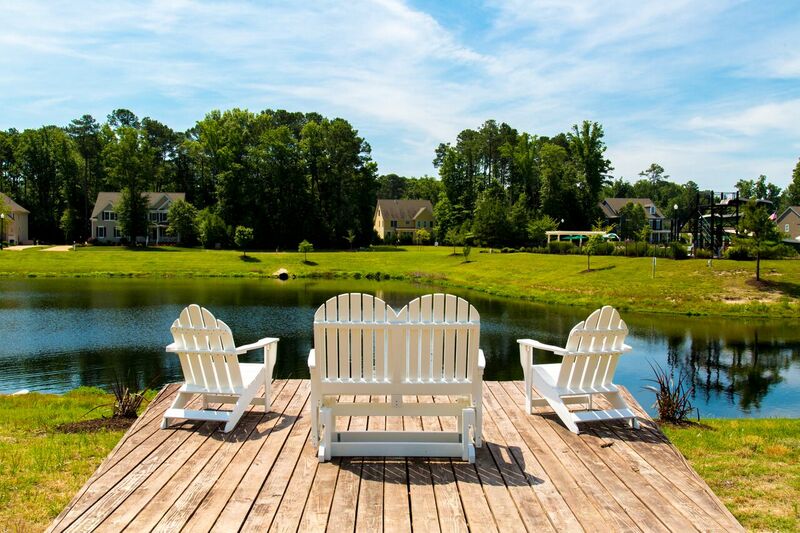 Look no further than Founders Pointe— a nicely removed from the city, waterfront community in the Carrollton area of Isle of Wight County– just ten minutes from the historic town of Smithfield. Over 250 families have already chosen to move to Founders Pointe for many reasons, here are 5 of the main reasons below..
1. LOCATION – Founders Pointe is surprisingly convenient! Besides being just 10 minutes to the town of Smithfield, Founders Pointe is also located just ten minutes from I-664 and the Harbour View area of Suffolk, it’s an easy 25 minute commute to the Portsmouth Naval Hospital and within a half hour of Downtown Norfolk. 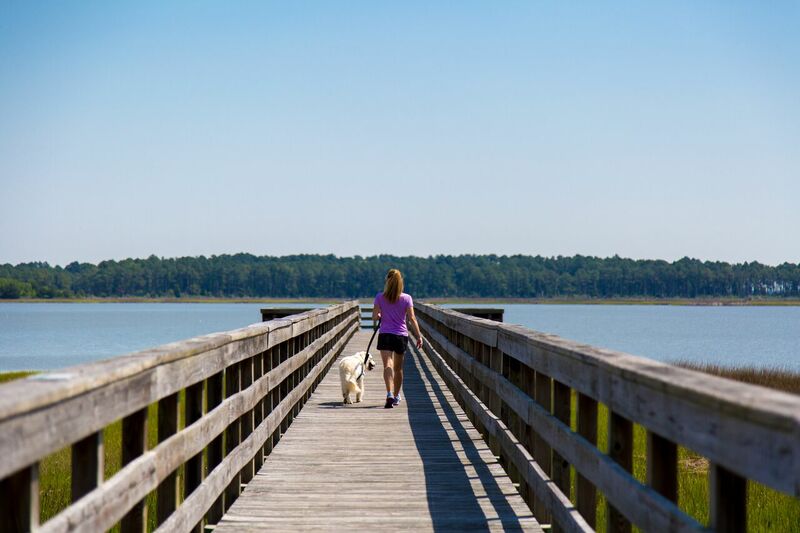 From the Peninsula: Founders Pointe is just 3.5 miles to the James River Bridge and only 10 minutes from Newport News, and bout 25 minutes to Langley Air Force Base. Once on Route 17, Founders Pointe is less than a mile down Sugar Hill Road, just a couple of minutes from the Eagle Harbor shopping area. 2. COMMUNITY CONCEPT – Discover a real sense of community in this waterfront community the minute you drive in the main entrance. 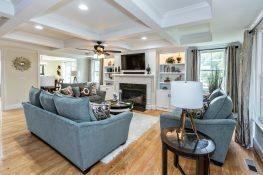 Curving cul-de-sacs, tree-lined streets with sidewalks, you’ll find classic Traditional style homes with large front porches and both Craftsman and Coastal Cottage style homes which creates a distinctive streetscape and a welcoming feel. Residents enjoy the walking trails which links the neighborhood streets to the lakefront amenities and to the river. 3. RESORT STYLE AMENITIES – Live like your on vacation year round! A full-time Club Director plans fun activities and social events throughout the year. 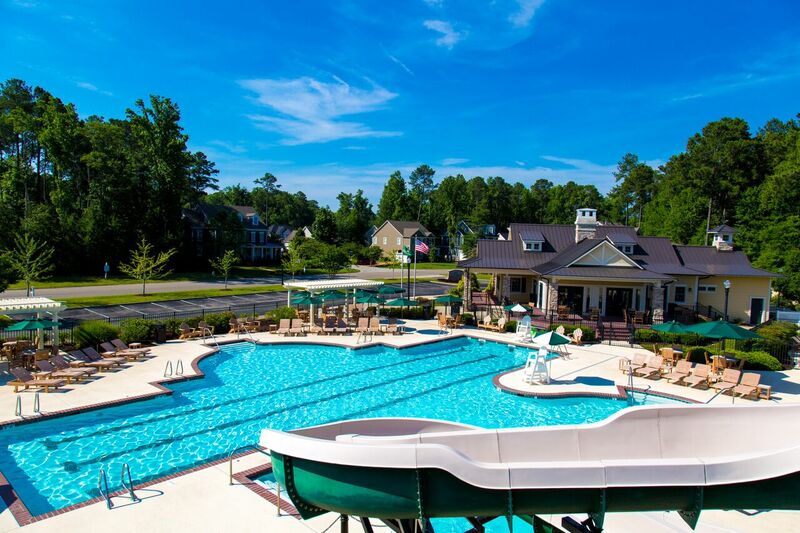 Residents enjoy the resort style pool and the 112′ water slide, a craftsman style clubhouse, outdoor grilling area, children’s playground, and a walking path that leads to the 844′ community pier. Discover panoramic water views of Batten Bay from the observation pier and breathtaking views of the James River. 4. OUR HOMEBUILDERS – One of the truly unique features, 10 different custom homebuilders! Beautiful new homes are offered by the area’s best builders. East West Communities welcomes Eagle Construction to Founders Pointe which joins an already impressive group of quality homebuilders. Home buyers can select on of the Featured Models built for sale or they can create their ideal dream home they’ve always wanted. Discover superior quality appointments, innovative and open floor plans, and private interior and water view lots.